Robert Orci and Alex Kurtzman have had a huge summer. The were the writers of both Star Trek and Transformers: Revenge of the Fallen. In addition to that, they have been put on dozens of other projects, and their show on FOX along with pal J.J. Abrams, Fringe, is into its second season. 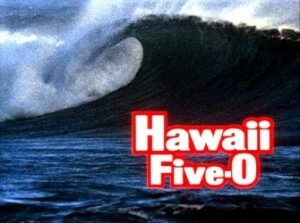 The two are teaming up with executive producer on CSI:NY, Peter Lenkov to do a reboot of the popular series, Hawaii Five-O. Scribes Alex Kurtzman and Roberto Orci, who were the kings of the summer B.O. as the screenwriters of “Transformers: Revenge of the Fallen” and “Star Trek,” have enlisted on another classic franchise reboot, “Hawaii Five-O,” for CBS. Kurtzman, Orci and Peter Lenkov, an exec producer on CBS’ “CSI: NY,” will develop the new spin on the vintage cop drama. Lenkov will write the pilot script under Kurtzman and Orci’s supervision, and Lenkov will serve as showrunner should the project be picked up to series. The trio will exec produce for CBS Television Studios. CBS gave the project a pilot commitment on Thursday after a pitch from Kurtzman, Orci and Lenkov. The Eye has long wanted to revive “Hawaii Five-O,” which was a staple of its sked from 1968-80. Skein starred Jack Lord as Steve McGarrett, head of the hardboiled Hawaiian State Police, which handled the toughest criminal cases and investigated organized crime on the island. The show’s catchphrase “Book ’em, Dano” — which McGarrett often said to his right-hand man, detective Danny Williams (played by James MacArthur) after a suspect was caught — has become a part of pop culture vernacular. Original series, created by Leonard Freeman, was filmed on location in Hawaii. Presumably, the redo would also head to the Hawaiian isles to take advantage of tax credits the state offers film and TV productions. Kurtzman and Orci are very hit or miss with me. I loved their take on Star Trek, even with some of its more cheesy moments, but I absolutely loathed Transformers: Revenge of the Fallen. I’m not sure I can really blame them for that one, there were so many hands in that pot, and I’m sure the strike didn’t help. I’m in love with their show Fringe though, and I think they make great show runners. I’m just not sure we need any more cop dramas on tv. Isn’t it time we break the mold a bit?